Intentionality, community and personal development are paramount to our staff experience. We believe in cultivating these right from the beginning with the people we hire. Our process reflects this. We speak with thousands of people over the course of nine months, enabling us to hire the most motivated, hardworking, resilient and FUN people out there. We know it is the people we hire who truly change our campers’ lives. Our staff are important to us, and we strive to bring them into the fold of our community from the moment they accept a position with us. We want our staff to feel that Camp Walt Whitman is a home-away-from-home, and we simultaneously strive to challenge each to be their best self. You’d be hard pressed to find a better location for a summer camp than our site in the beautiful White Mountains of New Hampshire. Wake up each morning and look out across our pristine mountain lake as you walk to breakfast, hike with campers across some of the most breathtaking mountains on the East Coast—and the star-gazing just doesn’t get any better. We are two hours from Boston, 45 minutes from Hanover, NH, and 25 minutes from Plymouth, NH. Our staff of just over 200 come from all across the globe. We generally have staff from over 15 different countries and 30 states across the U.S. The average age range for counselors and specialists is 19 to 24. We aspire to hire staff who align with our core values and are positive role models for our campers. 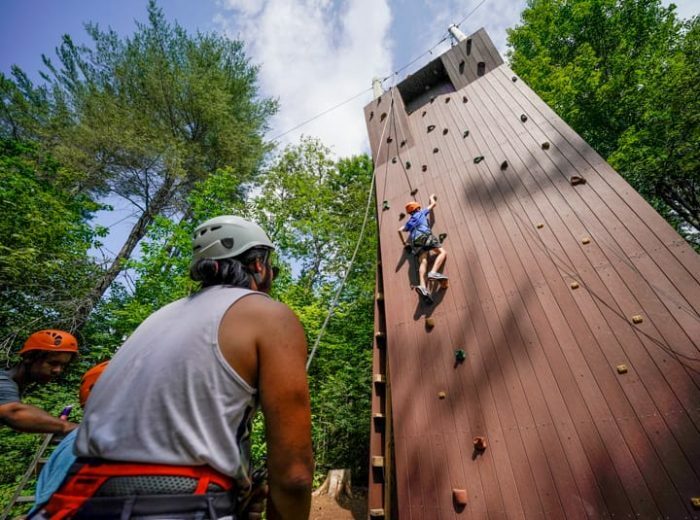 Our campers range in age from 8 to 15 and primarily come from the New York, New Jersey, and Connecticut region. We certainly get a number of campers from other states and even other countries. They will challenge you, cause you to double over in fits of laughter, adore you, and make you a better person. Staff arrival depends on position. Our specialists arrive one week earlier than our counselors to do training in their specific areas. Counselors arrive one week before our campers, and our entire staff come together for a week-long orientation and training where we get to know each other, learn expectations and practice skills to prepare us for our campers’ arrival. Our staff time off can be divided into three categories: periods off, nights off and days off. All staff have one hour off each day, which qualifies as a “period off.” Three to four nights off each week (9 PM–1 AM) is standard. Our staff lounge at camp is exclusively for staff to spend the evenings for their time off. We host open-mic nights, trivia nights, dodgeball tournaments, 3v3 basketball tournaments, movie nights and dance parties. We hire a cook who makes food each evening in our staff lounge; this is also where our staff can access Wi-Fi to stay in touch with family and friends. In addition to hanging out at camp, staff are allowed to leave camp in the evenings. We do have a curfew of 1 AM each night when staff have to return to their cabins. Everyone has five full days off (27 hours, from 8 PM one day to 11 PM the next) and two half-days off over the course of eight weeks. Staff who are at camp longer will get additional time off. On days off, our staff can explore New Hampshire, Maine, Vermont, Boston, and even Montreal, Canada—all are within a 2.5 hours’ drive. How do non-U.S./foreign staff apply? We are very fortunate to be able to issue visas due to our designation as a visa sponsor. We do hire some staff through agencies, but primarily accept applications from international staff directly to our website. How do you place staff with a cabin of campers? This is a multifaceted decision, and goes back to our intentionality. We do not place anyone in a cabin or with an age group until we have met all staff during orientation. 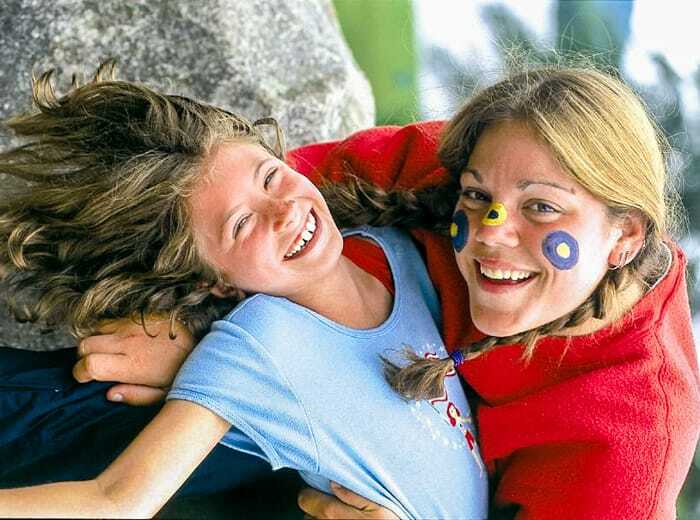 We take into account people’s previous experience, ask each person’s preference for age group and consider co-counselor dynamics as well as the personalities of campers within a bunk. All staff will be placed with a cabin half-way through orientation, and will receive three full days of age-group-specific training, as well as biographies of each camper so you can prepare for their arrival. When we talk about being immersed in the beautiful mountains for the summer, we really mean it. We do not have cell reception at CWW, so all of our campers and staff disconnect while at camp. Our staff, however, have access to Wi-Fi in our staff lounge during their time off. Additionally, on nights off and days off, there is sufficient cell service outside of camp. All of our cabin counselors, along with the majority of specialists, live in cabins with campers. Most cabins have 10 to 12 campers and three to four staff. All cabins have electricity, running water and bathrooms. Our cabins are updated, clean and cozy. Food and accommodation is provided for all of our staff.